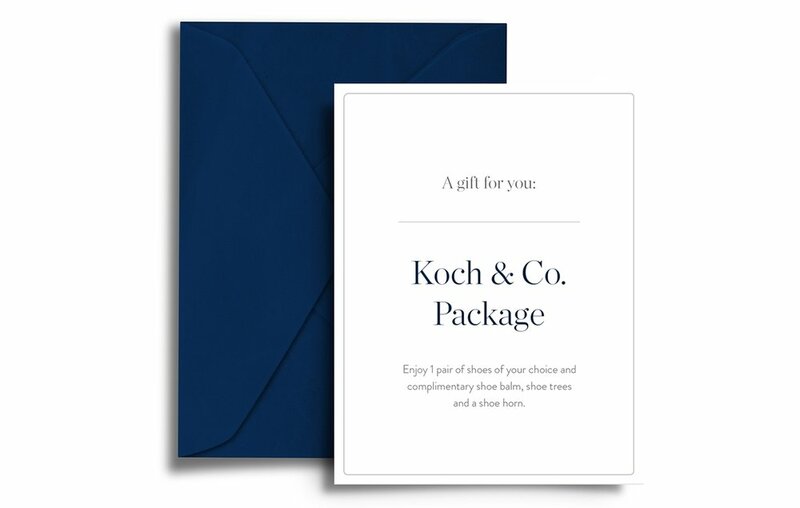 Full Package Gift Voucher — KOCH & CO.
Give the gift of quality with our stylish, personalised gift voucher. Recipients can easily shop any pair of Koch & Co. shoes of their choice. They will also receive 25ml leather shoe balm, 1 pair of wooden shoe trees, a brass shoe horn. Each voucher is printed on 250gsm card and comes delivered in a navy blue envelope with a handwritten note. It can be delivered by post, or printed as a digital e-voucher.